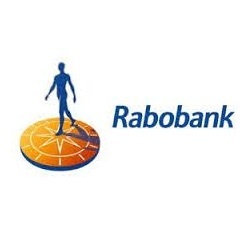 Rabobank’s is slated to lose its chief financial and risk officer, Bert Bruggink, who will be relinquishing his role and stepping down following the Dutch bank’s decision to partition his roles, according to a Reuters report. Rabobank has been fairly mum with personnel moves or news of its operations in recent months. Back in October, however, Rabobank placed two of its staff from its London branch on paid leave, in a bid to mitigate the intense regulatory pressure zeroing-in on the bank. Despite his decision to step down, Mr. Bruggink has opted to carry on his role as the chief financial and risk officer at Rabobank until the group can find succession candidates to serve separately as chief financial officer and chief risk officer. Moreover, he will continue to work with Rabobank in an advisory capacity, despite stepping down from the bank’s board. Mr. Bruggink has been a loyal Rabobank mainstay for over a decade, serving his entire career at the Dutch bank, which includes eleven years on its executive board. The bank explained its decision to segregate Mr. Bruggink’s roles as a customary practice both in the Netherlands and internationally amongst financial institutions.